October 2011 - Marketing & Brand Strategy. Steve Poppe, Founder. One of the fastest growing content areas on YouTube (data source: me) is healthcare channels. Hospitals and health systems are uploading talking head videos at an amazing rate. 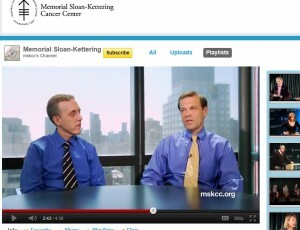 One large nationally recognized hospital recently uploaded 25 videos by lunchtime. YouTube has a way to go in perfecting its channel tools but visitors can search by clinical area, date added, most viewed, and top rated. Healthcare provider companies are not known for their marketing expertise — they are too busy saving lives — but the move into YouTube is a smart one. Do you know anyone who doesn’t have a family member with a health problem? The quality of these videos is quite good, albeit a bit over-polished. If you remove the occasional singing video encouraging employees to wash their hands, you’re left with a body of work where humans talk to humans in understandable English, removing the magic. Personally, I find the videos that don’t feel too scripted the best. Two docs at Memorial Sloan Kettering were talking on camera, sans make-up, and it felt very different from the norm, very real. The hospital has a reputation for clinical coolness and this video worked to change my attitude. The ROI problems is this — these videos cost a good deal of money to produce and some get 28 views while others get 28,000 views. As these channels grow in search sophistication and the video producers evolve, we are going to see some serious, serious advances traffic. This is big, important business. Peace! Stereotypes are important in marketing because they are patterns. Many feel that if you play to the patterns, you will win. Creative directors, on the other hand, have made a living going the other way — staying away from patterns, which is a pattern in itself. Stereotyping Angela Merkel, Chancellor of Germany, might suggest she was more likely to assist in the EU bailout because she’s a woman – a mom. Stereotyping a Long Island Rail Road worker who took retirement with disability at age 50, might portray him as a golf-playing aerobicist, while the reality is he is an arthritic thanks to 30 years keeping the trains moving during winter snowstorms. Is someone in Aspen, CO who opens a retailer door and shouts in “Which way to Little Nells?” a New Yorker? Okay, that one might be accurate – but the reality is stereotypes are nothing more than learning for a brand planner. And as planners if we know “no one wants to be a stereotype.” It doesn’t mean the consumer wants to be the pioneer who takes the arrows or the Beta User whose machine gets crapped – it just means when being sold, we want to feel individualized. The promise has to have promise…not an explicit benefit. Let consumers’ minds work and process things in their own way. Europeans are better at this type of selling than Americans. In the U.S. we are very explicit with our ads and social media. Sometimes being broad with a promise works harder. Peace. Dennis Yu CEO of BlitzLocal is a smart dude. He did a presentation about BlitzLocal, Facebook, data, and marketing futures last night at Hofstra University and it was eye opening. (What is Hofstra’s brand idea, by the way? Something with a right pointing arrow?) Anyway, a number of cottage industries have popped up over the years to help people market on Facebook and BlitzLocal is a good one. As is Involver. Sitting through the preso I was wondering what kind of company BlitzLocal was — never having heard of them. My take? It’s an analytics company. The BlitzLocal Is-Does? A Facebook analytics company (Is) that implements and optimizes Facebook marketing programs (Does). Mr. Yu started the evening with some really heady talk about brand building and how promotional giveaways are a blight, then he segued into data capture, tools, and the raw power of the Facebook platform. As an admin on a brand account, he playfully posted an offer to see how many people wanted a free pair of jeans and in minutes had 4,000 hits. So how does this type of real time analytics stuff rub a brand planner like me – someone in search of the big positioning ideas and planks that and drive long term value? Well, I’m a believer and will add these tools to my arsenal. I rail about tactics-palooza, but the insights derived from a BlitzLocal engagement are too important to cast off. This kind of data, especially at the high order level, needs to go into the boil down. One more important loci for the plan. Right brain, left brain. Yin and Tang stuff. Can’t wait to play. Peace. Ogilvy is a great advertising agency. Always has been. It loves big ideas, big productions and big brands. Lately, it has made a name for itself on services companies. Other than American Express and IBM, I’m not quite sure what accounts they have – which is my bad, but partly theirs. 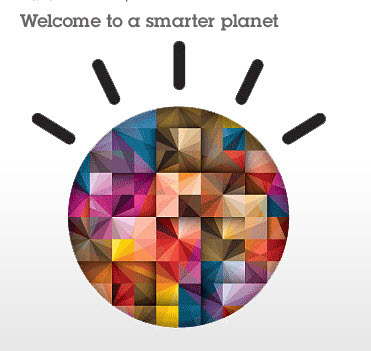 IBM’s “Solutions for a smarter planet” was a big idea. Already well entrenched with big businesses on the hardware, software and services (consulting) side, IBM decided that rather than grow by increments, it would focus on large-scale advances targeting countries and industries. That’s some enchilada stuff, there. “Solutions for a smarter planet” helped IBM take on the planets ills (traffic, energy, food) and showcase some future technology. By going big, it covered small (corporate) and positioned IBM as vendor of choice for massive overhauls. Then the economy tanked. And companies started having a difficult time making payroll. And saving the planet lost a bit of luster. Rather than returning to an advertising idea that supported product and services sales, IBM tasked Ogilvy with keeping revenue up by evolving the idea — the planet will be back at some point (knock wood). Enter “I’m an IBMer, I’m an IBMer.” For the purposes of continuity (agencies are big on that) the campaign is tagged with “solutions” but focuses on smart employees. Mistake. It milks a campaign idea that is no longer the business idea. Like the Microsoft Bing work that straddled two ideas “information overload” and “decision engine,” IBM is pushing an unclean idea. Come on Ogilvy, bring on the new work – the new idea. Peace! Biophilia is the name of a just released Bjork art project. An album available only on the iPad, this, by some accounts, is the first consumer controlled piece of music released to the world. Though it will take some arrows and may not be a world class compilation of music, it’s what excites me about technology. One plus one does sometimes equal 3. Much will be written about the new album, but one thing that is undeniable is it breaks new ground. I recently worked on a project in the contemporary art world and Bjork’s project inspires me to wonder if consumer controlled paintings and mash-ups might be in our iPad or online future? Any person who ever took an art class in college and created a painting knows it is not easy. Though, with the ability to copy and paste art elements from photos, online galleries and stock images together on a screen and create a print or canvases – that’s some cool. No more pictures of cats next to fruit bowls in the dining room. Consumer created content is part of the web’s DNA. Art appreciation is part of human DNA. New doors open every day and the doors that open to the art and music world are richer than most. Peace. The thing about corporate leadership is you need to know what you are leading. Sounds simple right? If you think you are leading “people” or, worse, “employees” you are toast. If you are leading “change” more toast. Throw “turnarounds,” “team” and “movements” in for good measure. The what you’re leading is the product and product result for which people are paying. Airlines are in the long distance transportation business. If they lose sight of that and someone creates a helicopter that gets passengers where they want faster and cheaper the airlines lose. Only when a leader understand the what can s/he focus on the why — what the company trying to accomplish? Should the why be to make the most money possible, that’s not leadership because it lacks product endemic vision. To take the fast helicopter example further, the why might be tied to the fact that when flying on a plane today one spends more time preparing to fly than actually flying. The why might be to be the most efficient means of long distance transport. With the what and the why answered a great leader can then govern the chess pieces toward the how – the strategy. Everyone wants to be strategic. But strategy without plan, without reason is really just a tactic is disguise. 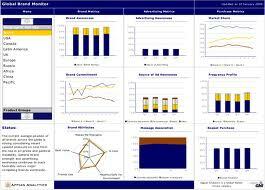 A company with a leader who has a dashboard with forty gauges and knows them all, but can’t tell you the what and why gets a B- at best. Peace! The New York Times Brand. The New York Times, one of the top 5 brands in the world (IMHO), is beginning to get with the digital program. And the result? A profitable quarter. I buy and read The New York Times every day. When I think about it, what I pay for and what I use are way out of whack. Let’s say there are 60,000 words in any one issue of which I may read 3,000. What kind of usage is that? Yet I’m as loyal as a house cat. Why? Because the NYT has managed its brand brilliantly. It offers the world — reported and depicted without bias (save for the editorial pages) in a wonderfully written and presented format. The Times defines news journalism as Coke defines cola. With the web collapsing the news cycles and citizens sharing pictures and video in real time, the Times has lost some of its news magnetism. Until it gets it back. It has been slow to adopt social media as a tool for tracking and reporting stories but is picking up speed. And once it catches up, it will lap citizen journalism. Someone from the Times could have been in position west of Surt, Lybia yesterday to get some original photography. Instead its photographer were in Surt. How the Times gathers, reports and analyses news and stories is changing, but the branded product they serve up remains the same. That culture, that brand, that product is so tight it will never Kodak (verb.) It has been a bit bumpy, but watching the Times find its sea legs in the digital world is going to be very exciting. Peace! The point of this story is that, commercially, Twitter and Social Media are best when providing a meaningful purpose. For target segments that have an information need, a twitter account or Fotchbook page can be very useful. Once my pal learned the interests and needs of his Twitter followers and hashtag surfers, he could then graduate into a couple of promotional specials. “Bigeye Tuna, $6.00 a pound for the next 2 hours.” But first, he had to understand the need – to do that he had to immerse himself, feel the ebb and flow. And develop a plan. Twitter is an enabler, not the solution. Sadly, the majority of people in the ether or on the speaking circuit who talk about social media talk about social media and not the solution. That’s social media 3.0 and I can’t wait. Big eye Peace! Yesterday was Blog Action Day and the topic this year is food; another important topic we all too often take for granted. As we do with air and water. At the end of this month theplanet’s population will top 7 billion. Most of the growth is coming from countries and areas that are underfed, undernourished and under-watered. These areas don’t seen to have fertility problems. Is it possible that making the body work harder to sustain itself is better for the planet than eating French fries, salted snacks and high-calorie things that come wrapped in paper and Styrofoam? I am an evolutionist who believes there is a very direct correlation between the man, earth and bio-chemistry. You grow what you sow, so to speak. For too long we’ve been a car and fossil fuel country. It has to stop. 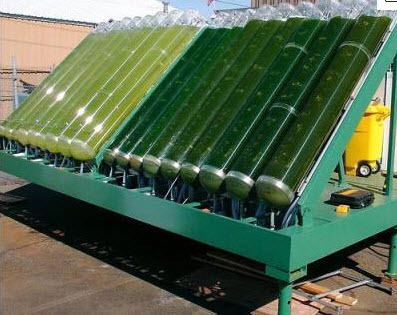 Sadly, even the smartest venture capital companies (Google whatstheidea+kleiner perkins) that have taken a stand and opted to jump start green tech have returned to focusing on social media start-ups. Carlota Perez, a big picture genius, interviewed by Fred Wilson last week said our future is not in technology but in sustainability. She is right. But food, how do we fix food? And what will be the incentive. How do we eat better. Eat less. Eat things that don’t enable diseases? President Obama knows fixing these two things is the answer, but like Kleiner Perkins he knows it’s a steep uphill effort. And long term. According to Chipotle each week 330 farmers leave their land. Farming is a noble business. Farmers tend to get the whole eat well thing. We can find a way to combine a healthy eating lifestyle and the reduction of fossil fuel (burning) consumption. That is the mission. That is the future. That will fix much. Peace!